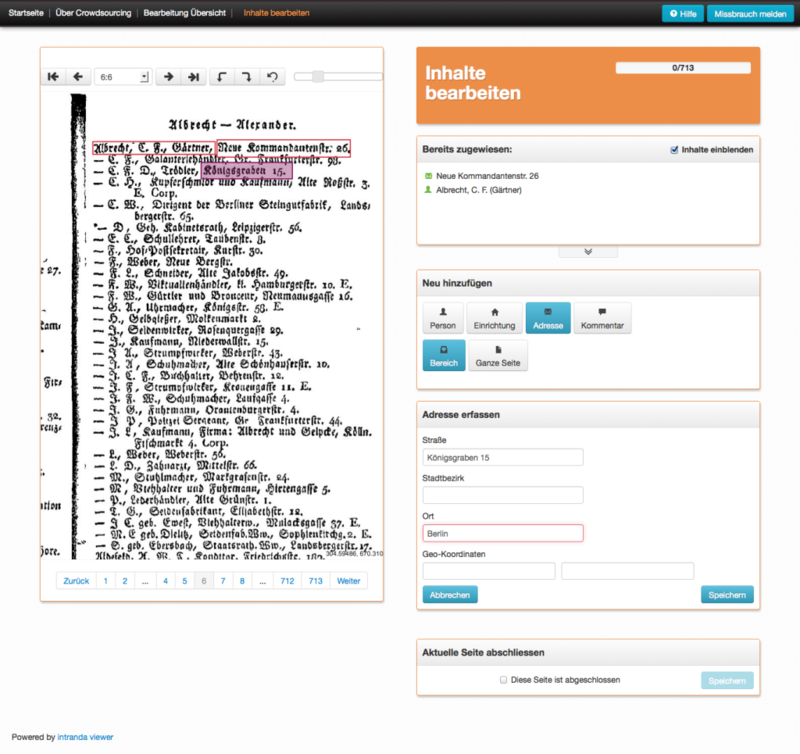 Crowdsourcing in the digital library. Many companies outsource their work and creative processes to internet communities and external users. Research institutes, libraries ande archives can only benefit from this approach. Some of your website visitors will be more than happy to volunteer their knowledge and assistance. Crowdsourcing is a pioneering strategy that allows you to learn from your visitors, share knowledge with each other and achieve a common goal. The Goobi viewer has been designed with a crowdsourcing module that can be installed as an additional option. This allows visitors not only to leave comments but also to work directly with content and full text material such as that generated by means of OCR. Your website visitors can therefore play an active role when it comes to indexing digitised material and enriching OCR output. 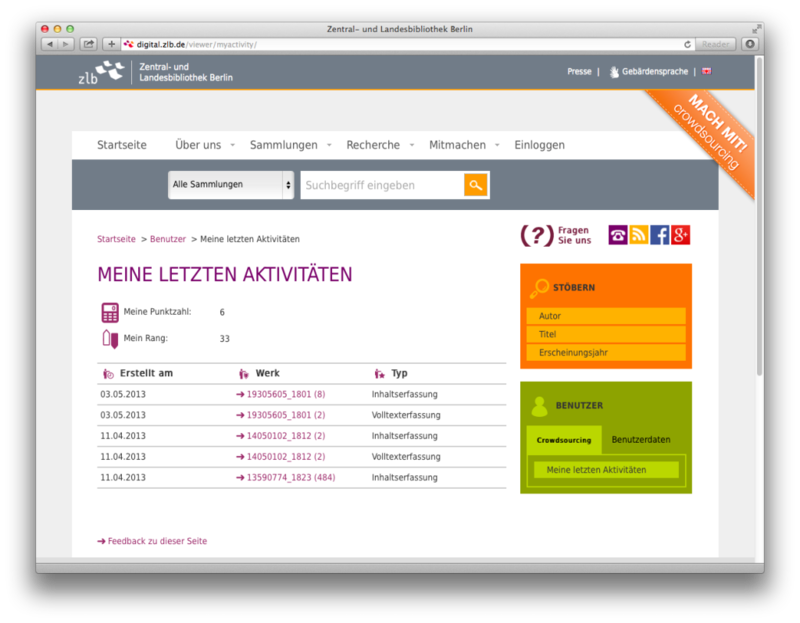 The old files are updated live, while previous OCR results can be revised and displayed on the screen in a matter of seconds. This method also makes possible a structured indexing of metadata and annotations of an image and to add image coordinates.